Doritos are a good way to add cheese and a crunch to trail burritos. Body wash found in a hiker box can be used to wash clothes in a sink. Pilfer a hand full of Q-Tips from said hiker box. Make friends with locals. They will drive you places and make you feel like a rock star. You can, and probably should hike out pizza if you try hard and believe in yourself. 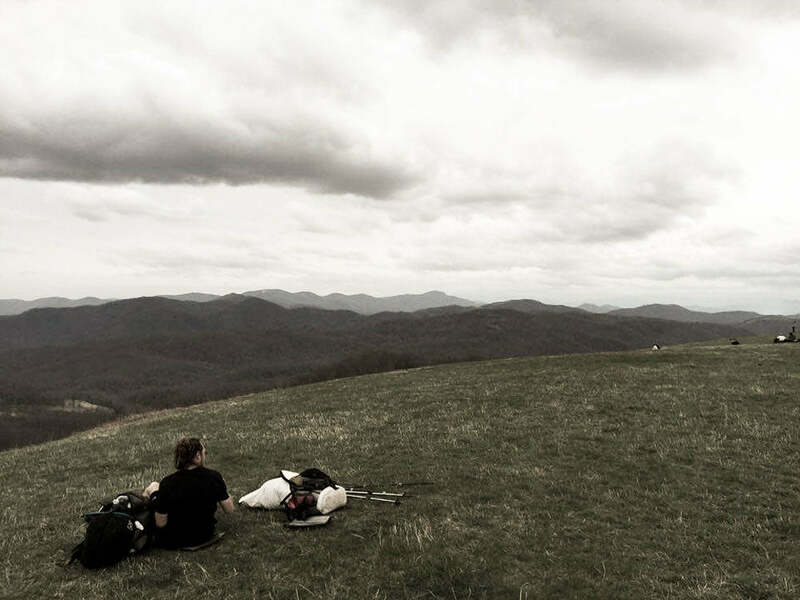 These are the things you see thru hikers doing that weekend warriors are most likely not. Thru hikers also wear Crocs with socks and all their rain gear while doing laundry. And they buy $17 worth of candy from Dollar General to eat while waiting for said laundry. We live a silly life, but it’s the life we were dying to live. When you slide the removable aluminum stays out of a Hyperlite Mountain Gear pack you immediately lose a couple ounces, and you also gain a little more freedom and wiggle room within your pack. That’s what Lays did a couple days before arriving at town. Realizing that her pack was very well balanced and sat well against her back, the stays served no more purpose and were removed to be place in a Appalachian Trail hiker box for the next Hyperlite Mountain Gear pack user. I pack my bag differently and prefer to use the stays; the contents of my bag contour with their shape and help support my load even more. On the outside pocket of my 3400 Southwest, I have my bladder, filter, camp shoes, fuel and my sit pad. I carry my iPod, Phone and snacks in my hip belt pockets. This means nothing dangles off my pack that might throw me off balance, and everything within the pack is placed in order by it’s volume, then weight, then necessity. Having my Pack Pod (aka “Rain Pod”) on top every time allows to me to gear up for the rainy days, and I usually keep my puffy stuffed in right next to it. I always connect the buckles at the top of the roll down to the corresponding side compression strap, and engage the Y-strap over the top to pack it down, and pull the load a little bit off my shoulders. Both packs are packed quite differently, but that’s the great part of the Hyperlite Mountain Gear system is you can make them work for your thru hike adventure, in your own way. Hike your own hike. So we put our foot in our mouths big time on the last blog post. Our Katadyn Hiker Pro water pump IS work horse of a pump. And it’s true the convenience is unparalleled, and that it got us in and out of water sources quickly. However, when the filter finally clogged I felt like I would soon turn into Popeye with how difficult it was to pump two peoples worth of water almost twice a day. Upon going to an outfitter to replace the filter, we found that the common Sawyer Squeeze water filter was cheaper than a replacement filter and saved us 8 ounces (half a friggen pound!) and a lot of space in my outside pocket. We took it another step further and ditched our SmartWater bottles and our Camelbak for two 2L Platypus Hosers. Now we don’t stop for water breaks, and we stay more hydrated throughout the day. We also saved some weight in the process! Just like with our MSR Whisperlite, it’s always a tricky game to choose weight over convenience. However in the end it’s not how hot you got your water, or how fast you filtered it. It’s about how much your knees hurt from carrying the extra ounces. The post The Appalachian Trail: Hike Your Own Hike appeared first on Hyperlite Mountain Gear Blog.